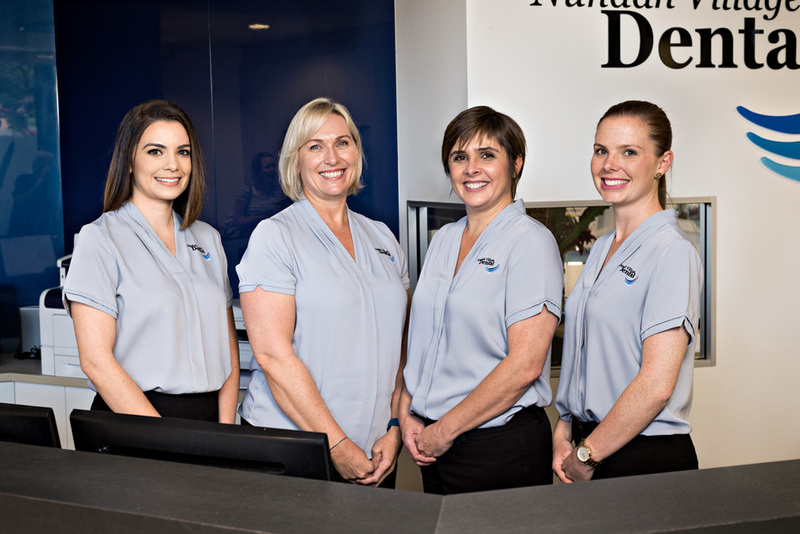 Nundah Village Dental is privileged to have a committed and well trained team of Dental Receptionists who will attend to your needs in a friendly and caring manner. Linda, Megan, Mel and Jess have an extensive history of chair side assisting and it is this experience that gives them an understanding of treatment options available and appointment times required. From every contact you make with our reception team it will be obvious that they understand your questions and concerns and will provide you with the appropriate advice and direction on booking appointments to maximise your treatment and minimise your waiting time. This team of ladies are dedicated to the position that they hold and understand the trust given to them with in the practice and will always work to exceed your expectations. As members of our full time reception team they appreciate the commitment involved when scheduling dental appointments. With this in mind our reception team are available to communicate with you through email and they can be reached at enquire@nundahdental.com.au or you can speak with them by phone during our opening hours on 3260 6200. With the most exceptional communication skills Linda, Megan, Mel and Jess will do all they can to make any contact with Nundah Village Dental a positive experience. They not only care about your teeth, they care about you. Kirstine is currently on maternity leave and we look forward to her return to the Nundah Village Dental Reception Team in 2019.